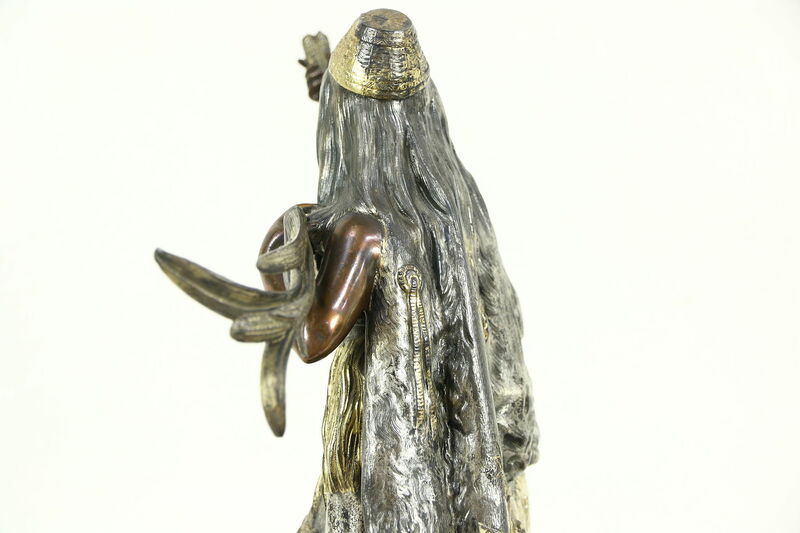 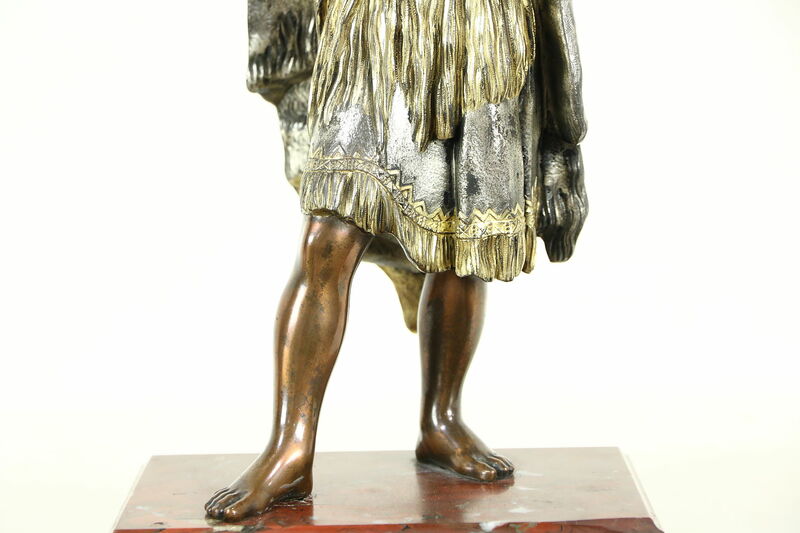 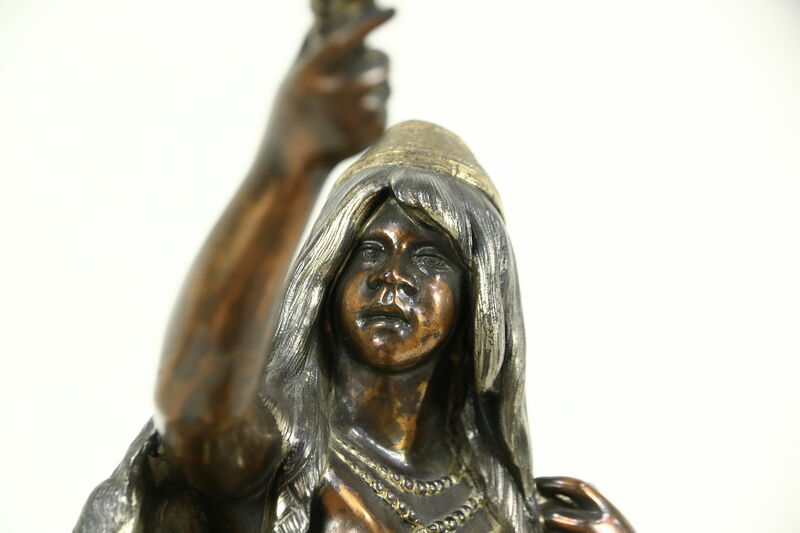 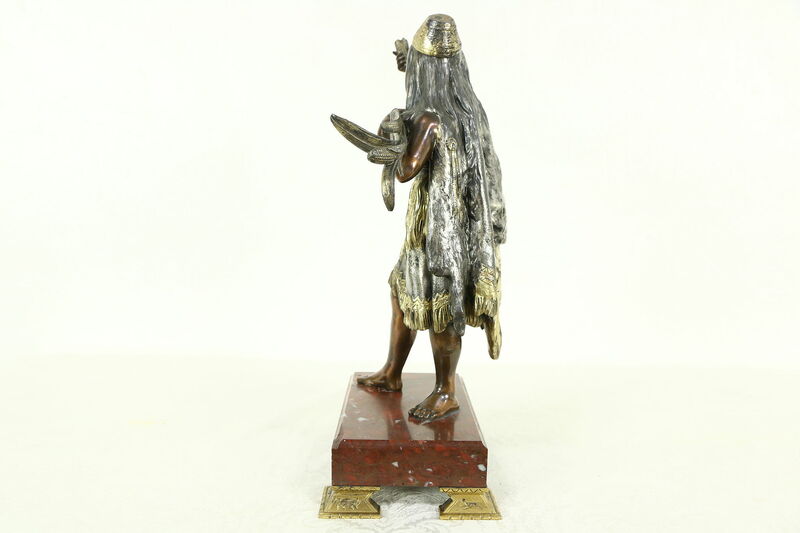 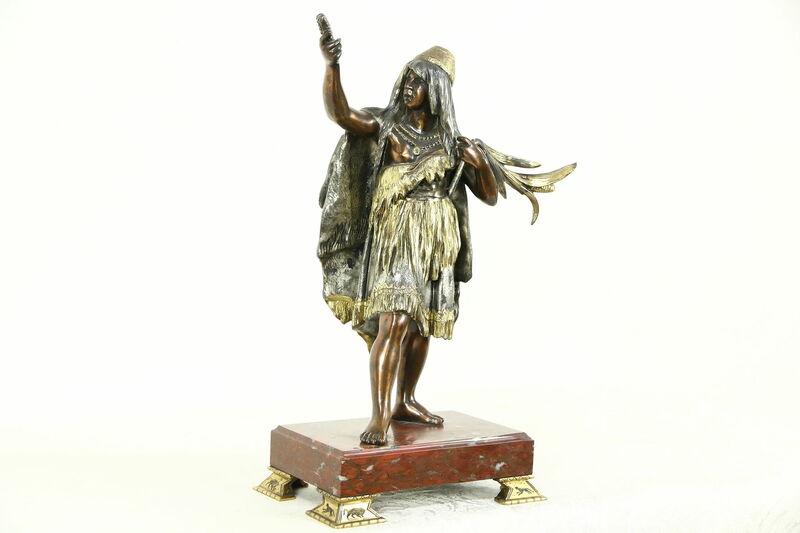 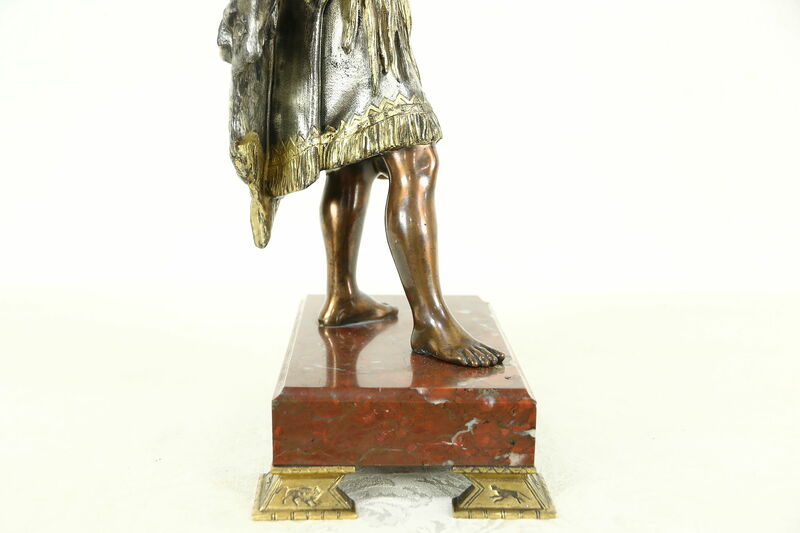 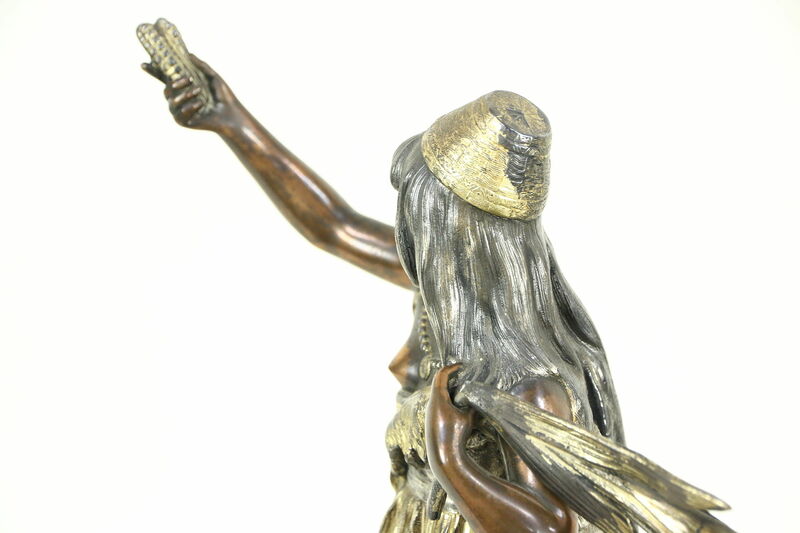 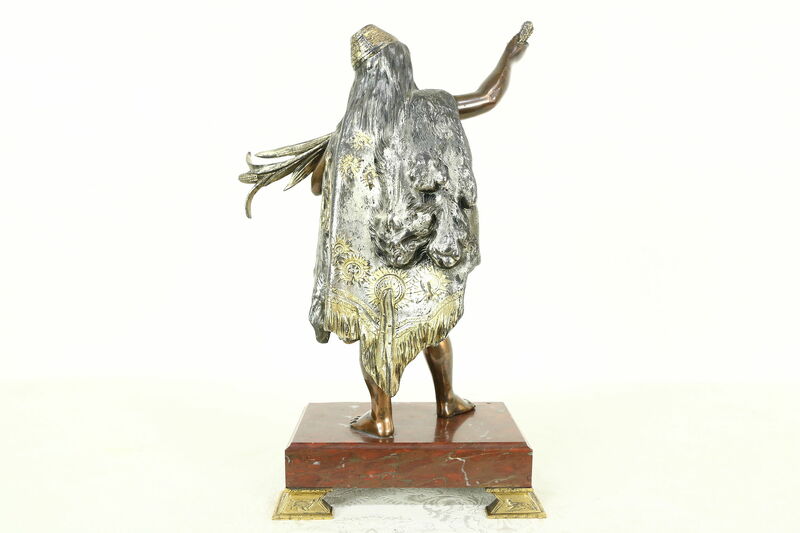 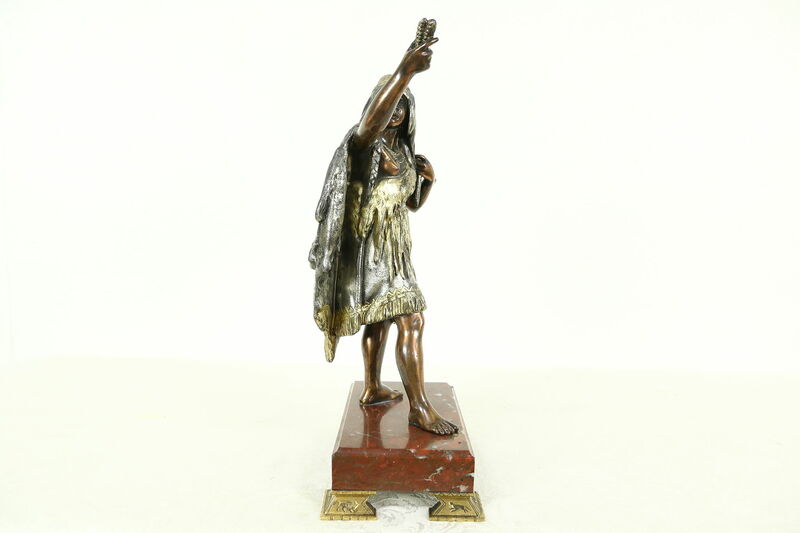 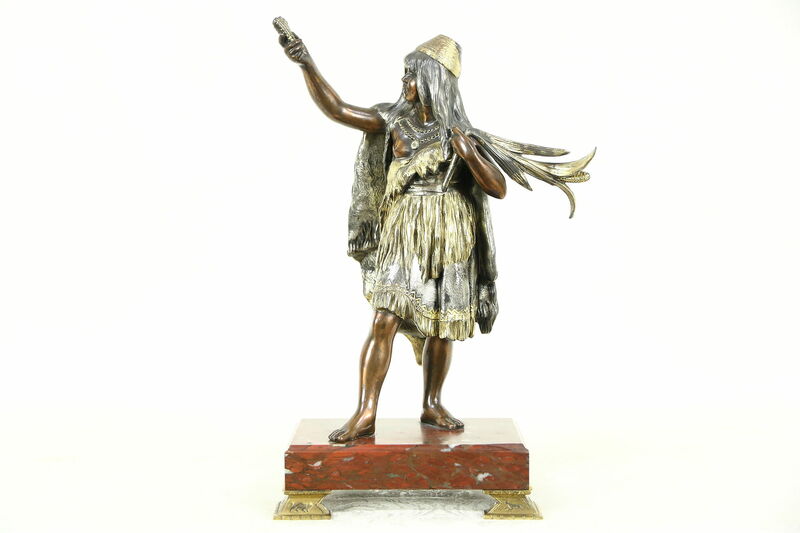 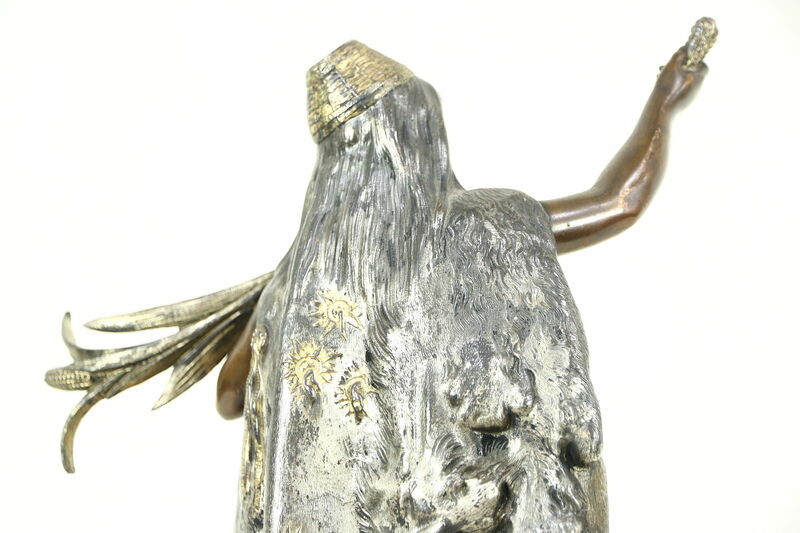 An exquisite statue of a high ranking Native American Indian young woman is wonderfully detailed, with an original copper, gold and pewter toned finish. 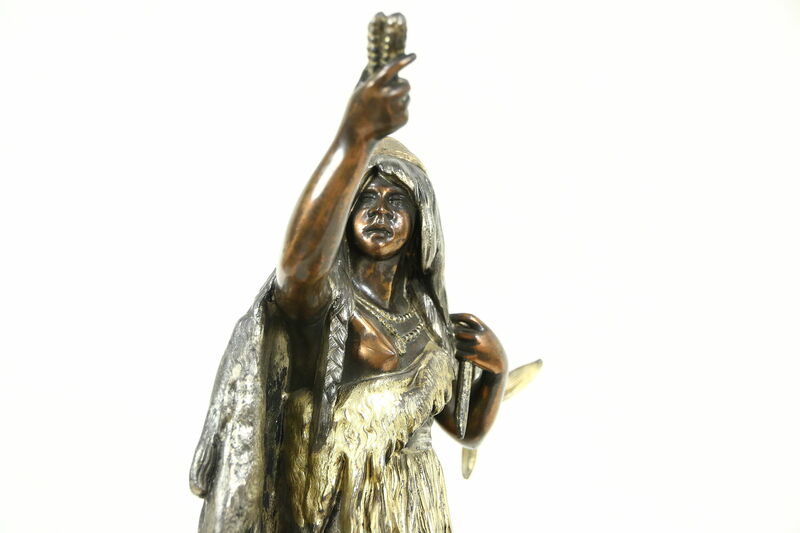 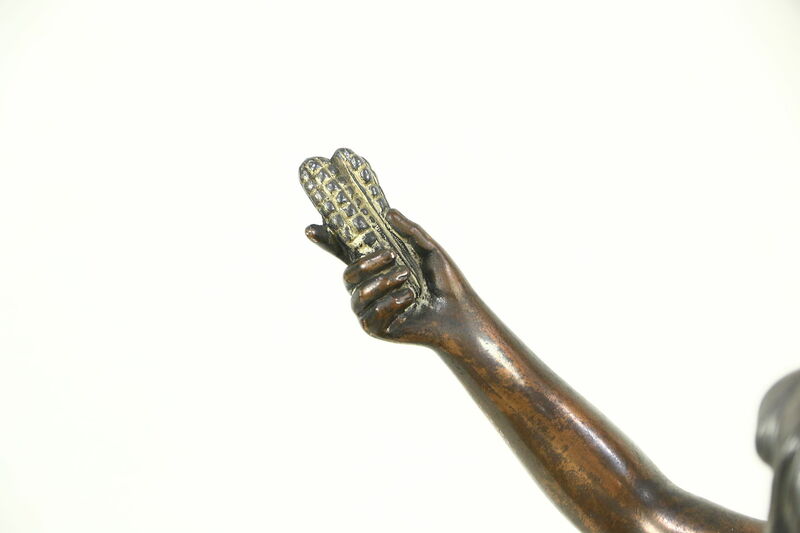 The sculpture is spelter, a white metal alloy. 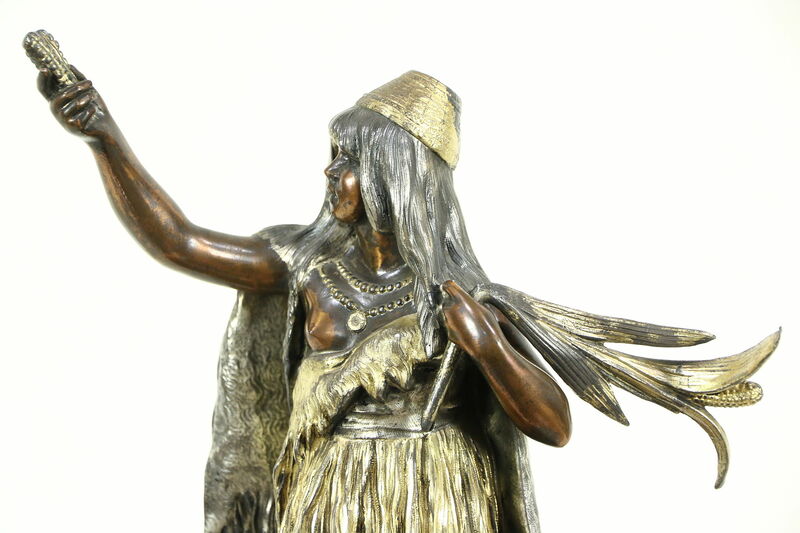 She stands proudly in full traditional dress with a wildcat pelt, bearing ears of corn. 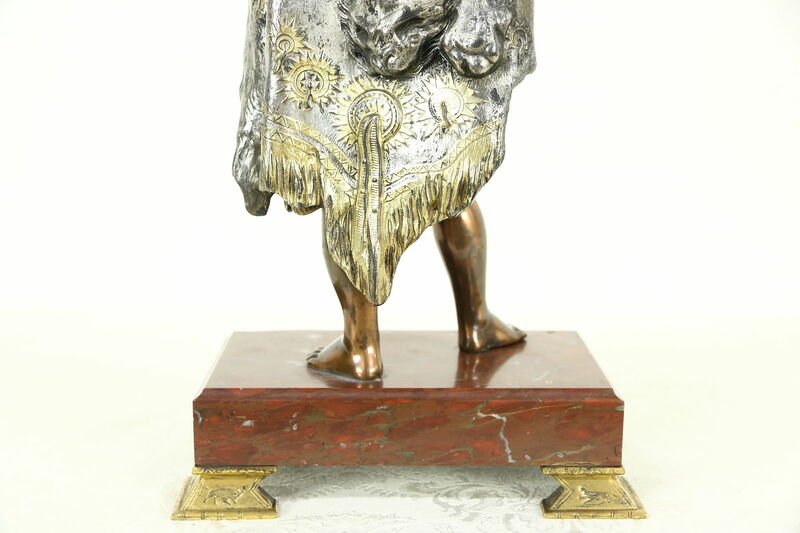 There is no signature on this work of art from France. 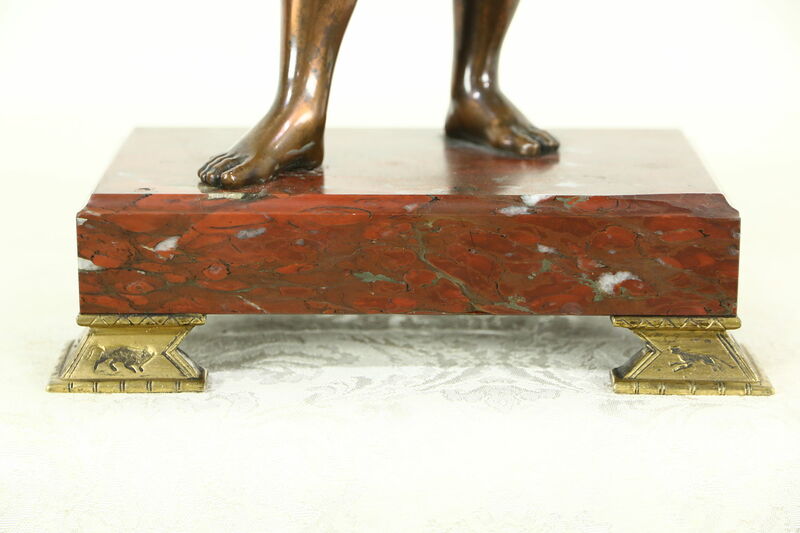 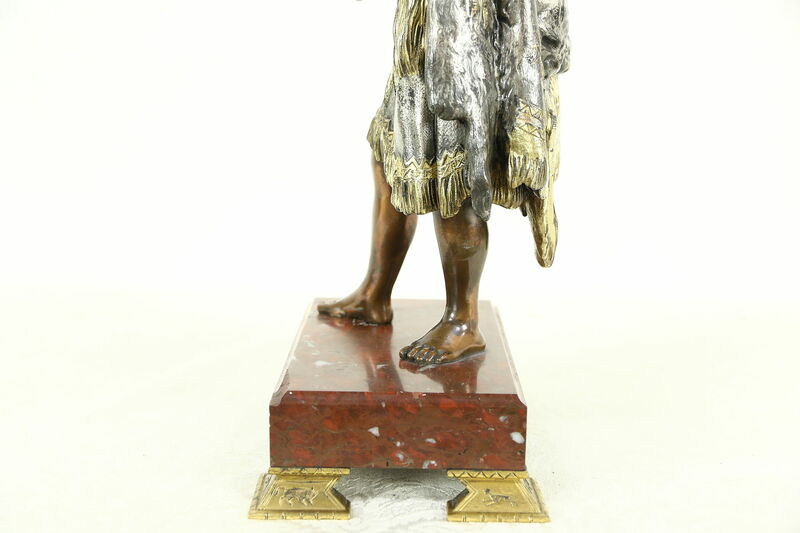 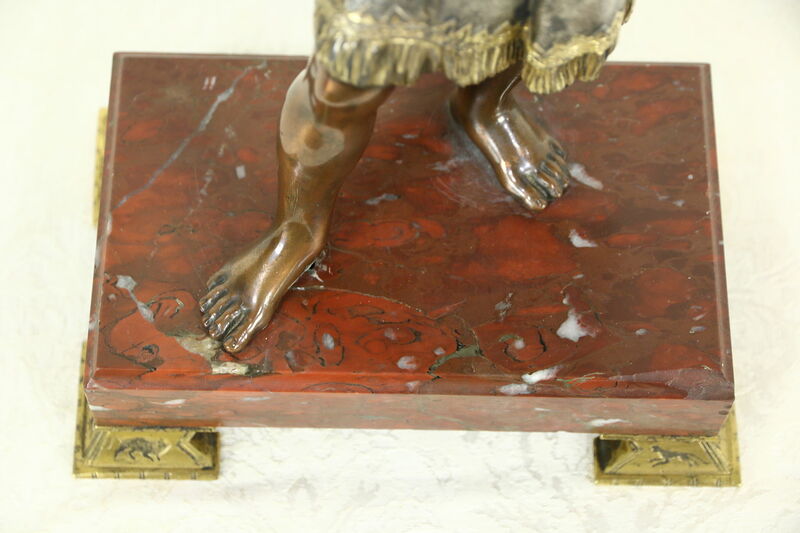 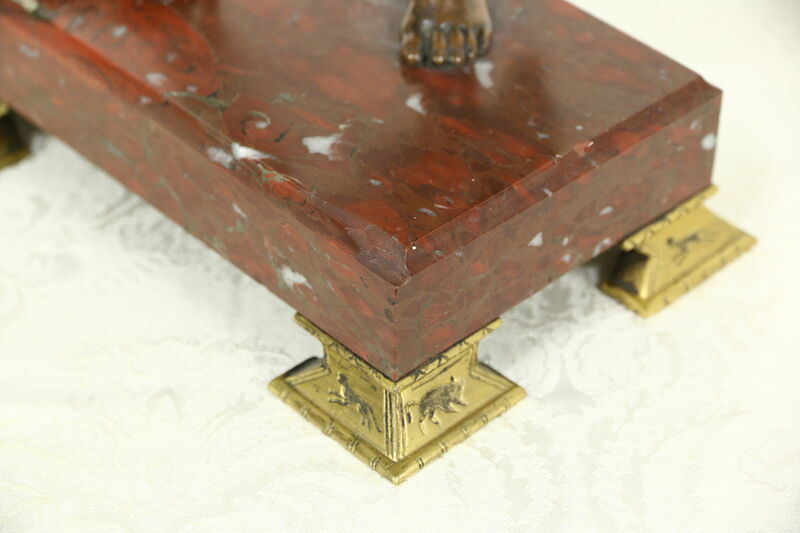 The red marble base has a loss as shown plus bronze feet embossed with wild American animals. 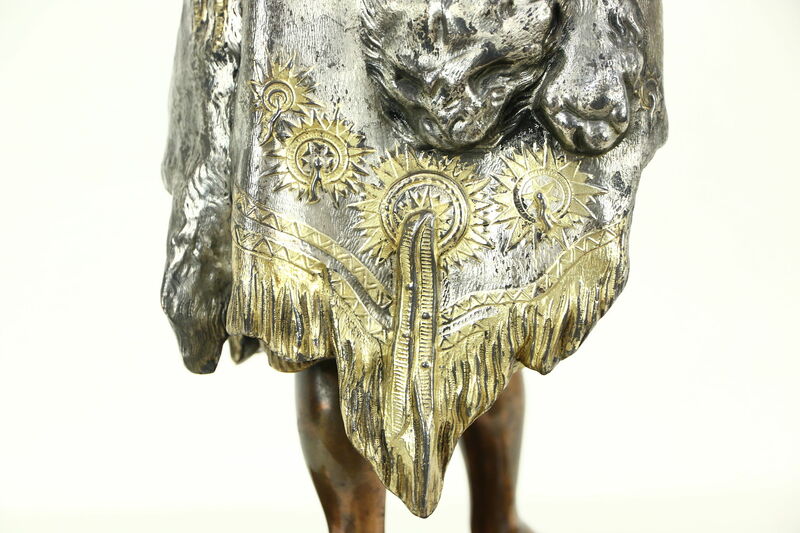 Overall size is 7 1/2" wide, 5" deep and 14" tall.